Located at 46 Trafalgar Street, the main street of Nelson, Trafalgar Lodge is a 200 metre walk to the city centre and the Nelson Information Centre. The Intercity Bus Depot is a five minute walk from the Lodge. Trafalgar Lodge is located next to Trafalgar Park Rugby grounds and Sports grounds such as The Nelson Community Tennis Centre, Squash Courts and is an easy walk to The Trafalgar Centre. Ideal for Conference accommodation in central Nelson, with up to 20 beds, very competitively priced. Trafalgar Lodge comprises of both a motel complex and a separate 100 year old Lodge. Each of the lodge rooms and motel units have cable television, telephone and free wireless internet. Also available to guests is a fax machine and laundry facilities. Continental breakfast is available, price on request. Chargebacks available from Tides Restaurant, on request. 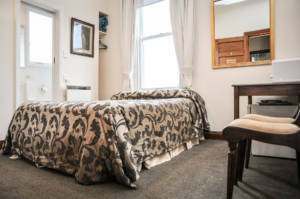 With it’s central location and off street parking, Trafalgar Lodge on Trafalgar Street is an ideal place to base yourself while visiting the city of Nelson, while also being close to Nelson Restaurants, Nelson Saturday Craft market, the Nelson Regional Museum and Nelson Specialty shops. 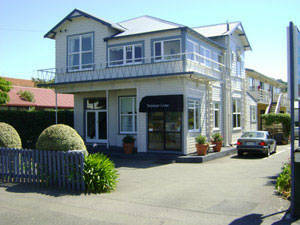 A five minute drive to Nelson’s Waterfront Seafood Restaurants and 8 kilometres from Nelson Airport. Tahunanui Beach, is a 5 kilometre drive away and is suitable for swimming and sun bathing. Nelson has approximately 22 walks around the city and the outlying areas for you to enjoy. 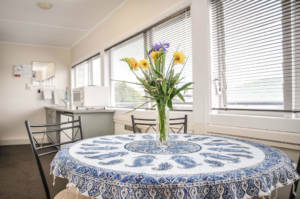 Trafalgar Lodge is also an ideal base from which to explore the greater Nelson Region, being an easy drive to the Nelson Wineries and Nelson Arts and Crafts centres, with approximately 350 working artists in the area. Looking for a Nelson Holiday Home ?